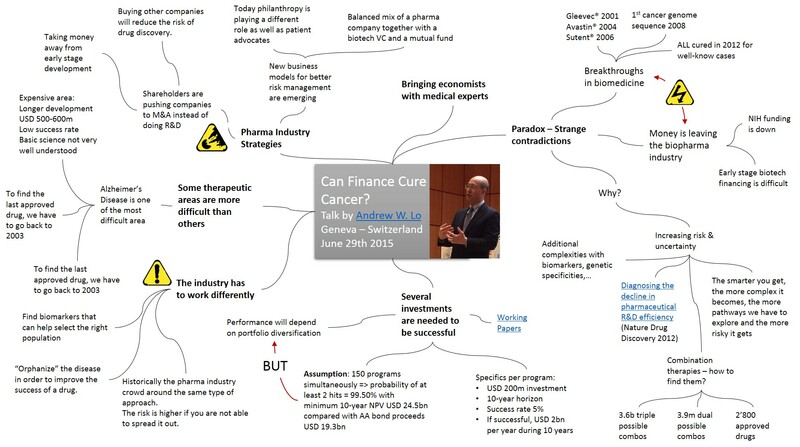 I had the chance to attend this refreshing talk about what finance could do to help drug development. My summary of the talk is shown below. This entry was posted in Corporate Strategy, Drug Development, Insightful, Oncology, Trend Box and tagged cancer, Corporate Strategy, drug development, Financing, Innovation. Bookmark the permalink.